Although the grey zone in terms of Online gambling in Germany, nothing, think the management at 888 Holdings, is in full retreat from the German market. The company pushes the “disappointing” the legal Situation in Germany as a reason, but there are much bigger problems that are a burden on the company. The 888 Holdings is the holding company of the 888 group. In addition to the 888casino has a of Poker and sports area, as well as different Bingo offers and Online Casinos. According to the founded in 1997, group is one of more than 25 million registered users in all portals and of Online gambling, making it one of the largest operators in the area of games. Nevertheless, one can recognize with the different Bingo Offers a clear orientation to the British market. The operator to give at least officially, that they are disappointed by the current legal Situation in Germany. The background is that a subsidiary of 888 Holdings by the state of Baden-Württemberg was the Offer of Online gambling. This prohibition was confirmed by the Federal administrative court in Leipzig, but the justification has so many inconsistencies that it is assumed that the judgment is in line with EU law. More Details can be found in one of my previous articles. This reason is advanced by the company only, because you could decide before the European court of justice with the Insistence on freedom to provide services relatively easily to the dispute. Far more important is that the company recorded an increase in turnover of 4% to 541,8 million US dollars, the profit before tax however, decreased by 68% to 18.8 million dollars. Here we are talking about exceptional loads. The record fine of 7.8 million pounds (8.5 million euros) against the 888casino belongs to, because you had not paid attention to the game protection. There is also approximately $ 45 million (36.7 million Euro) to be paid as taxes to the German state. For every paid in euros at an Online Casino, the provider must pay 19% VAT. 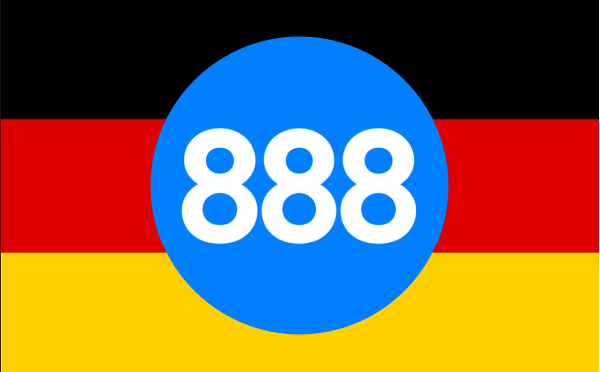 At this point, one should not say that the offer from 888casino in Germany, so popular, as in many other countries. Ultimately, it offers slot machines and Games of their own software provider Dragonfish. Otherwise, one has to Play only a small selection of NetEnt, with most of the latest titles have been missing and it was limited rather to the classics. Will leave the 888 Holdings, a large gap in Germany? The fact is: In Germany, Merkur and Novoline as a slot machine manufacturer in the past, were very popular. The removal of the Games from the two manufacturers was quite problematic, as many arcade classics. Nevertheless, there are good Alternatives from Play’n GO, Thunderkick, Big Time Gaming, EGT, or Lionline, so you can find an adequate replacement. Some Games even have a much bigger profit potential. The game offer from 888casino involved, in particular, the in-house Software from Dragonfish with The Big Lebowski Online Slot game or Millionaire Genie, NetEnt classics like Twin Spin or Gonzo’s Quest and some WMS Slots like Raging Rhino. The selection of NetEnt Casinos is relatively large, and the majority of other providers have also the latest Slots in the Portfolio. Raging Rhino, Kiss, or beer house are currently being offered also by many of the WMS Casinos so that here also no problems. Only the Dragonfish Software can hardly be replaced. However, the games in Germany, never large, cult-character, so that no giant should problems arise. Overall, you will not miss the 888casino. I’ve tried more than a year ago, the Casino once and played there. I must admit that the Slots for me at the time, only a little interested, I’ve actually only used the Live range of Evolution Gaming. At least the Stream was relatively stable, so that I paid back then there is 50€. Blackjack and Roulette I had played – I tried for the first Time, the Blackjack Party. Overall, the Live range was not outstanding, but not bad. I played slowly, at some point of 150€ paid and€ 50 to the Slots used. I remember that I had played The Big Lebowski and Millionaire Genie. Great profits there were, the money was gone at some point. On the payout, I can still remember quite well. I had to perform in spite of the rather low sum an ID Check. The whole process has dragged on for a week, because the documents were not accepted. Then it was submitted, and in spite of the and cashout via PayPal, it took 3 days until the money was finally in my PayPal account. After that, I was so frustrated by 888casino that I’ve lock. In the area of payments there are, consequently, better Online Casinos.